Ricoh has just introduced the Pentax KP, a tiny titan of a DSLR camera with a maximum ISO of 819,200. The KP has big features like weather-sealing and high resolution in its sights – but its smaller-than-usual scale is its big sell. The Japanese DSLR camera manufacturer designed a completely new body for this camera to ensure a slimmer profile than existing DSLR cameras. However, Pentax did not unveil the exact dimensions in its press statement. The KP is slimmer than previous Pentax SLRs, measuring 4.0 × 5.2 × 3.0 inches (HWD) and tipping the scales at 1.5 pounds without a lens. The dimensions do not do the compact size of the body justice, as the max depth is determined by the protruding lens mount. If you simply prefer a deeper handgrip than the modest on-camera bump, you can add 1of 3 accessory grips, each along with a different depth, and each selling for $50. The Pentax KP is rated to shoot at up to 7fps. It features a 27-point AF system, along with all but two of those points cross-type, the same as the K-3 II. The real-world testing is required to see just how well the camera does at tracking subjects and keeping them in focus always. The mechanical shutter can fire at up to 1/6,000-sec, and there is an electronic shutter option that can capture images at a blistering 1/24,000-sec. Its image sensor is a 24-megapixel APS-C chip with no optical low-pass filter (OLPF). An OLPF, also known an AA filter, blurs details in order to combat color moiré. If you are shooting a scene where the moiré is an issue, you can engage an AA simulation mode that utilizes the in-body stabilization system to add a very slight blur to photos, and simulating the effect of an OLPF. There is no 4K movie capture, though, which continues to see Pentax sat a step behind in this department (it can shoot 1080p max). 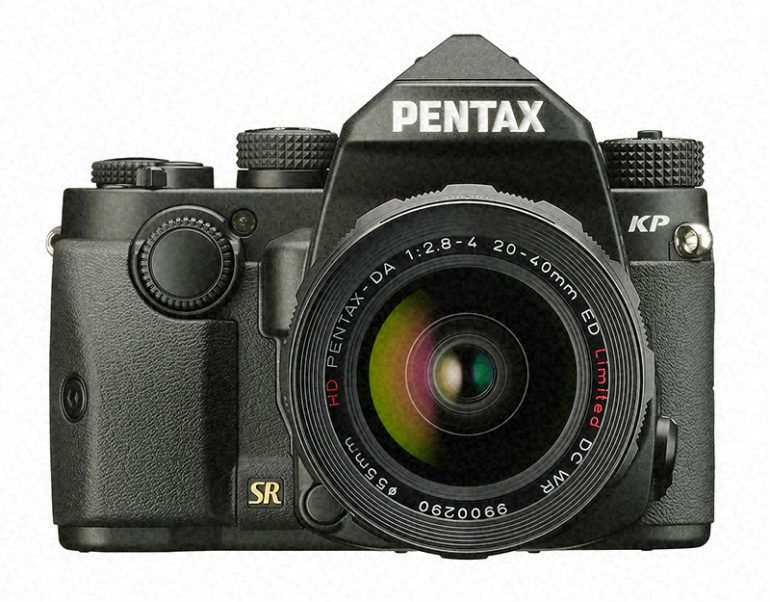 The Pentax KP will be available in silver or black finishes from the end of this month, priced £1,100 body-only. That is a cost difference more than a couple of bags of KP nuts higher than the likes of the now-around-£850 Canon 80D or Nikon D7200.